It was blazing as we stepped out of the Siem Reap Airport in Cambodia and were greeted by the hotel staff from Heritage Suites. In no time, they escorted us to a vintage car and drove to the hotel. 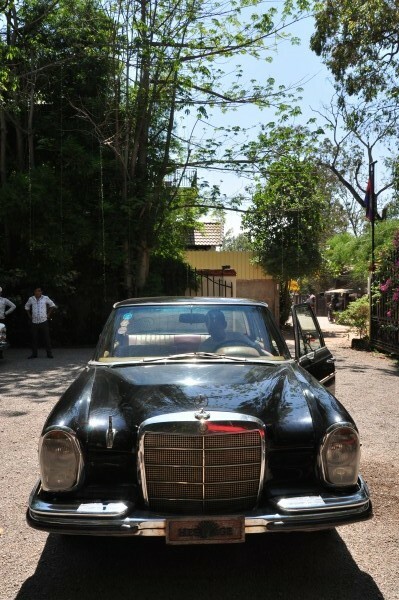 The car belonged to the King Father Sihanouk before it was sold to private collectors. I felt like royalty riding in it. “Do you want to take the shorter route, or the scenic one to see the temples?” the chauffeur asked. “I want to see the temples!” I said. This is the car that belonged to King Father Sihanouk. The car drove past, with the chauffeur patiently stopping to let us take pictures. He and his assistant also gave me fresh pineapple juice and a white towel to cool off — they really do think of everything! Soon enough, we turned into a narrow street along Wat Polangka, and saw a pristine white building framed by tropical trees. As soon as we got out, there was a flurry of activity — the staff unloaded our bags and placed it next to the check-in counter. Although we were asked to present my voucher at the reception, the front desk staff replied me with, “We already know that you were coming,” which put me at ease. 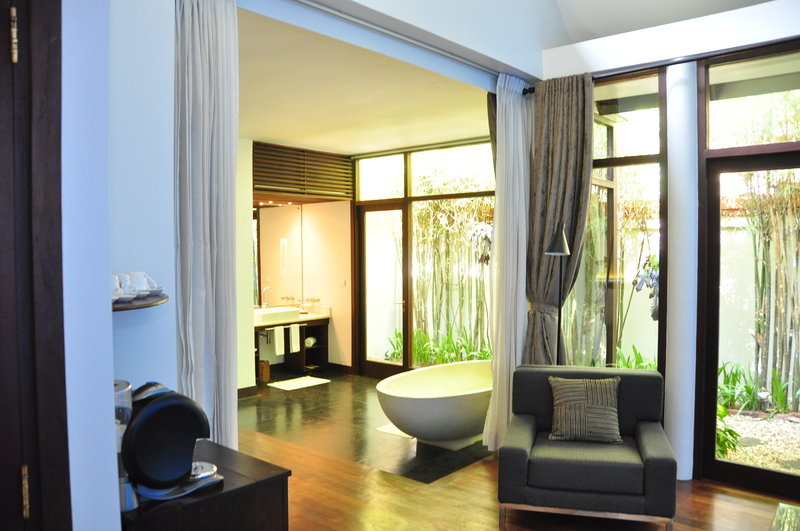 After checking in, we were ushered to our room — the spacious Bungalow Suite (US$255- US$365 per night). 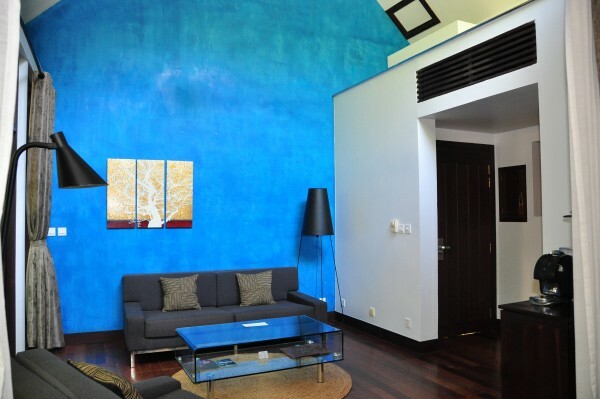 The living area and entrance of the Bungalow Suite. The room was named Chan Thou, after a spice that the Cambodians use for prayer. It was spacious — there was a sofa, an espresso machine, and teas from Harney’s & Sons. Soon, more staff came in with a fresh platter of fruits, and when I couldn’t connect to the Wi-Fi, they fixed it quickly. They always asked if I needed anything else — a huge plus, as we needed lots of bottled water to combat the searing heat. The king-sized bed that was all ours! We ventured to the bedroom and saw the huge king-sized bed. 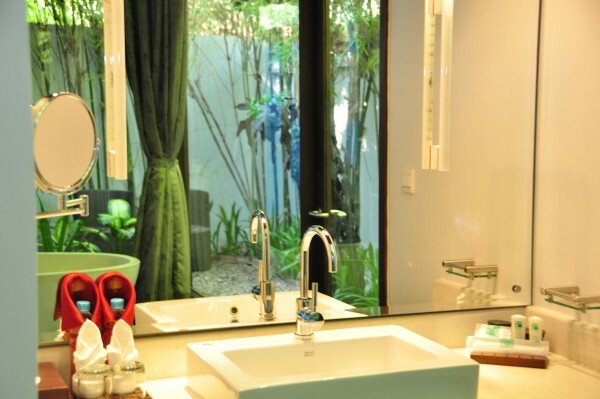 There was also a bath tub further on in the room, as well as a huge vanity top with the amenities — what impressed me was how thoughtful the staff were — cotton buds, swabs, insect repellent and a soothing balm were all provided, just in case. Almost all our daily necessities were provided here. 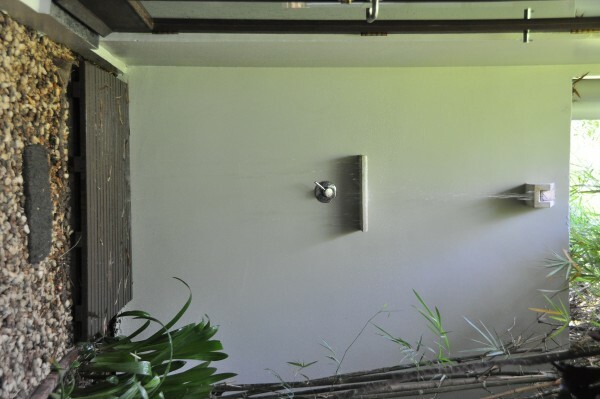 There was also an outdoor shower, as well as a private steam room. The floor to ceiling windows made me feel like my privacy would be compromised, but then I realised I could use the curtains to partition the suite, and to change away from prying eyes. Our very large and roomy bathtub. Needless to say, I tried every single amenity in the suite — it isn’t every day that you’re living in style and comfort. The bathtub took a while to fill up with water, so I had to wait 15mins for it to be filled completely. I’d wanted to have a nice frothy bubble bath, but the soap didn’t do it for me and trickled down to the bottom. It was still a nice soak as the tub was large enough. The outdoor shower, while adventurous, wasn’t quite as strong as the one in the room. I also had to be wary of mosquitoes that preyed on me. The steam room also proved to be a little uncomfortable and claustrophobic, but the service and staff made up for all the room’s minor shortcomings. Ambient and quiet, the spa and restaurant were also great for having meals and getting away from it all. There, the staff tended to our every whim, and we could relax in peace. We were given the Khmer Discovery Menu (US$53 with wine pairing) and got to taste some Cambodian cuisine — my favourite was the pumpkin crème brûlée, but then again, I’m always a sucker for dessert. The staff of the spa were patient and kind — my 15min massage was too short, and I should have opted for a longer package. 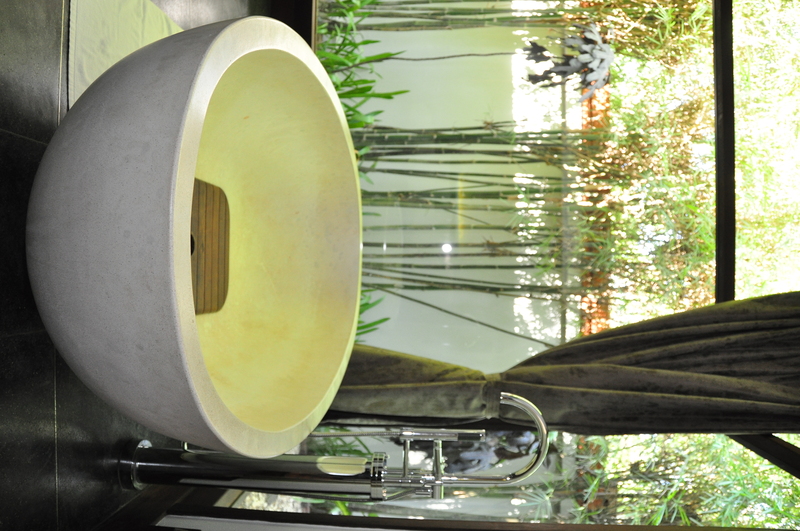 The spa’s rooms were also calm and quiet, perfect for some quiet time alone. 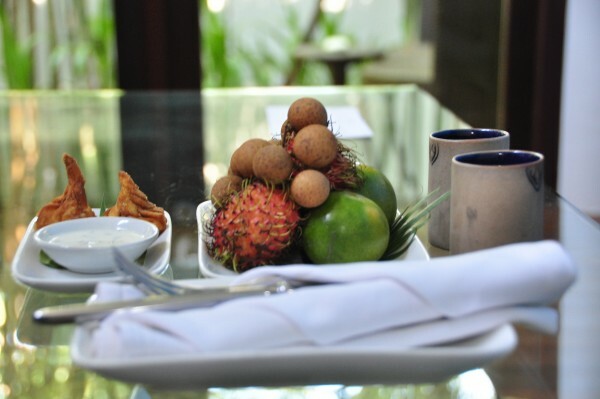 We were also delighted when we found out that the hotel also offered tours to Siem Reap’s more remote temples, and when we finally ventured to Angkor Wat, breakfast and fresh fruit juice were presented to us. The staff were always thinking about our needs. 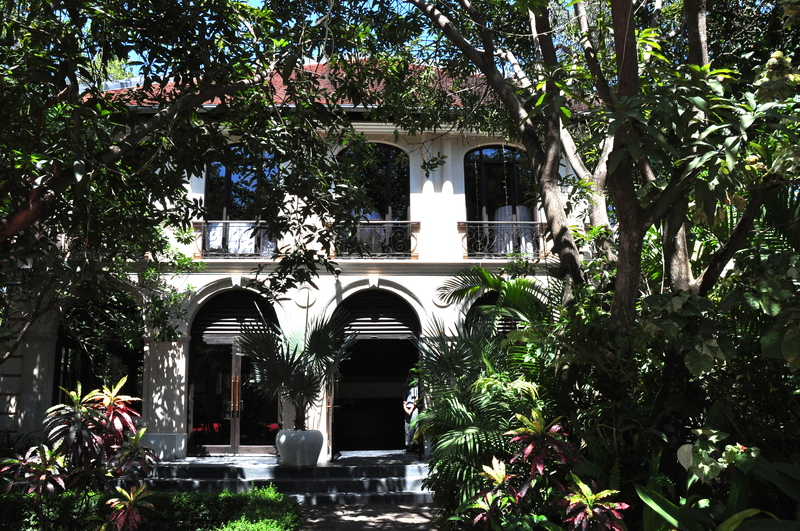 This is the place to stay in Siem Reap — we couldn’t imagine another hotel we would rather be at! 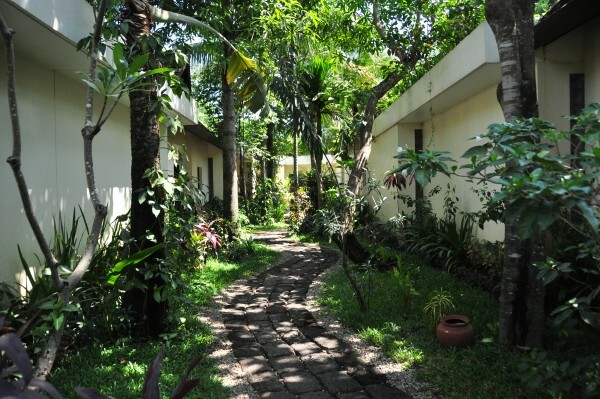 The hotel’s gorgeous lush greenery certainly adds to the ambience. Verdict: While some minor aspects of the rooms needed tweaking, the staff’s excellent service and their friendliness more than made up for it. 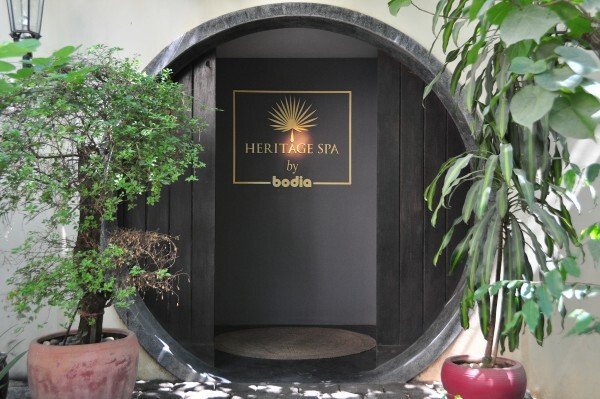 What also impressed us was the hotel’s commitment to responsible tourism — Heritage Suites hires its staff from an NGO called the Sala Baï Hotel & Restaurant School, and the spa’s products are produced locally. We’d love to come again. 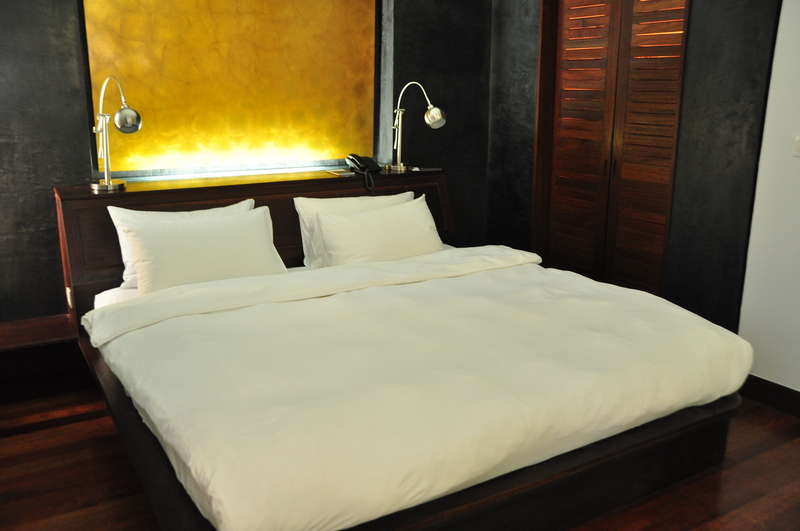 Best For: Honeymooning or holidaying with your significant other? 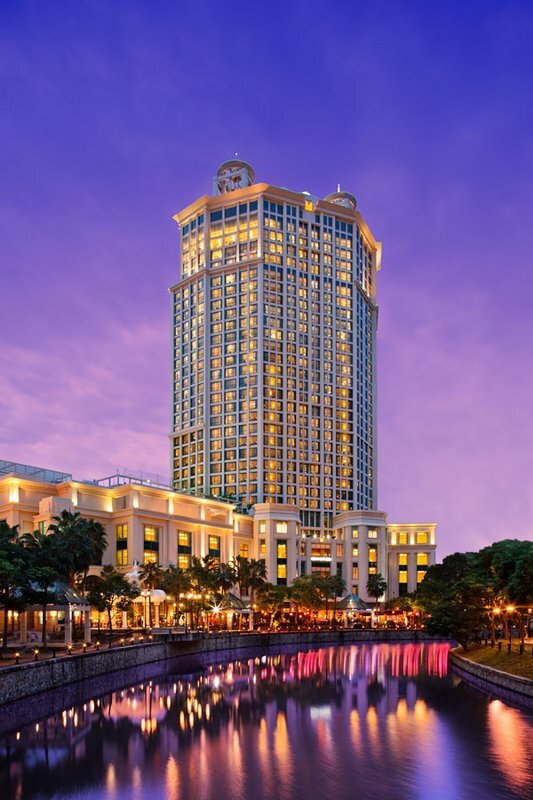 Look no further because this hotel’s ambience is perfect for a vacation for two. As there are only 26 suites, you’ll feel like you have the place all to yourself.